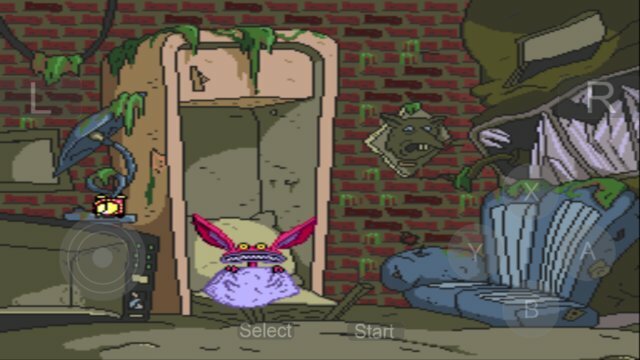 The player controls three characters: ICIS, or Oblina Kamm, trying to pass the exam at the school of monsters. Exploring the different regions to gather information and scare people. Director Gromble instructs the player. The characters begin their journey out of the sewer, and gradually move to higher levels, to the human world. You can switch between characters at will. Each of them has its own special abilities that will come in handy to overcome obstacles and solve puzzles. The main weapon is trash, which you can throw at enemies. Collecting the bags, you get stronger bullets, and bones of the fish. 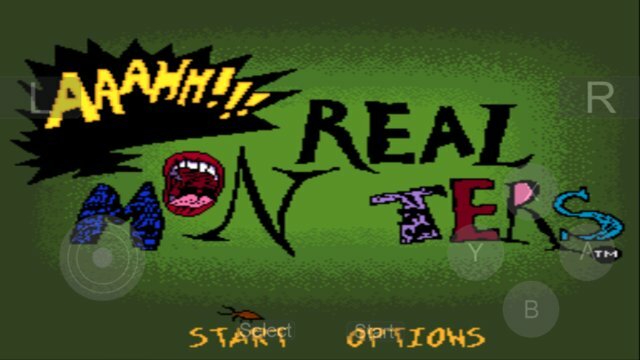 Collecting "monster Manuals" allows you to scare all the enemies on the screen, also removes some life from the bosses.